Beejo’s golf Accessories are created in a wide selection of fabulous colors to match any golf bag. You will stop them dead in their tracks on the golf course! 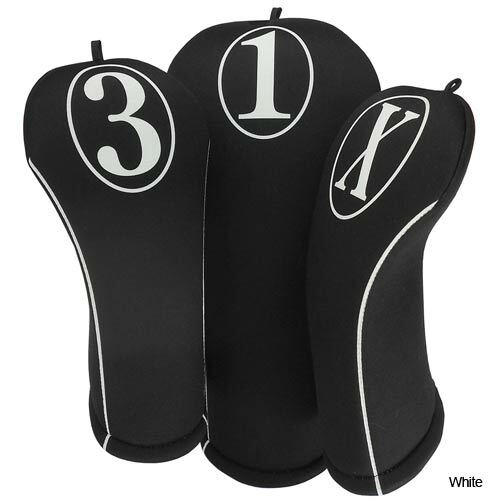 Makes the perfect gift for any golf lover on your list! 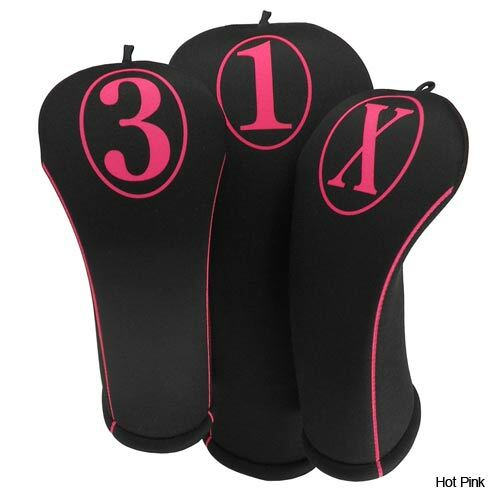 Set of Three Golf Club head Covers 1-3-X. Made in the USA from an exclusive material developed by BeeJo, BeeJoPrene. Stretchable BeeJoPrene is durable, machine washable as well as fade resistant. BeeJoPrene‘s vibrant colors will withstand the harshest of conditions. Each set also has an optional matching tee-bag and towel. Golf head cover sets also come with the exclusive BeeJo Leash to help prevent you from losing your golf head covers again. Driver cover fits 420cc to 470cc and is easy on-and-off on today's biggest drivers. The perfect gift for any golf lover on your list!